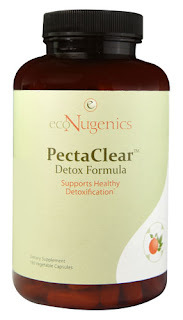 This post will be a short detour from building material to talk about detox. 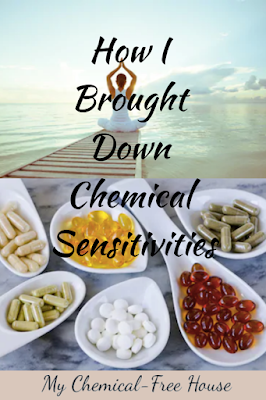 It can be much easier to bring down sensitivities than to try and avoid all toxins. Even if you are not extremely sensitive you may want to build more resiliency and do more out there in the real world. Everything on this list is something that has helped me or people I know well to bring down chemical sensitivities. This post contains affiliate links to the products that have helped me. I brought down my sensitives quite a bit with the following methods: first I removed my amalgams at a biological dentist. Then I started gently with chlorella and some activated charcoal. Of course, I was in my non-toxic tiny house with good outdoor air so it was the perfect environment to detox in. I then started a full Shoemaker course of Cholestyramine. Which was intense but immediately brought down brain fog and increased my energy. My sensitivities came down by the end of the course. I then brought in Alpha Lipoic Acid which helped my sleep quite a bit. The next addition was Bulletproof Glutathione which brought down my sensitivities some more. Currently, I have added Liposomal Vitamin C, Molybdenum and CBD oil and my sensitivities to chemicals are still improving. That is what worked for me, but there are a lot of different ways to approach detox. The best approach is probably to try something from each category. The people doing well often used binders, antioxidants, and sauna or coffee enemas. Being in a non-toxic house first does seem to be very important before starting any of the more intense detoxification methods. Alpha Lipoic Acid - An antioxidant that also assists in heavy metal detox. User accounts say wait until you are detoxing well and are not getting backup symptoms like fatigue, headache, or queasiness before starting. Liposomal Vitamin C - Vitamin C helps detox the liver of free radicals. Bulletproof Glutathione - Helps your body remove toxins, including environmental toxins such as mould. Also assists with heavy metal detox. Different binders pull out different toxins. Many people use 3 at a time for intensive detox periods. If you are healthy and want to minimise heavy metals you can use the gentler ones for upkeep or when you are eating fish (like chlorella, pectin). If you are extremely sensitive you should start with those as well, since they are gentle. Activated Charcoal - Binds to a wide range of toxins including mould, but also binds to minerals so it is tricky to space out with food. Takesumi Supreme is a bamboo charcoal. Bentonite Clay - Binds to a range of toxins including mould. To me this seems like a fairly gentle binder. Zeolite - A mineral that binds to a number of toxins and metals. Chlorella - Binds to mercury, mould and other toxins. Does not interfere with nutrient absorption. I had trouble with the iodine content in it. Modifilan - A seaweed extract, binds to heavy metals amongst other toxins. Also contains iodine. Cholestyramine (CSM) - prescription drug, promoted by Shoemaker for removing toxins including mycotoxins. The most powerful of the binders. Binds to a wide range of toxins and is especially effective for mould. Particularly ochratoxin. Welchol - The prescription alternative for those who cannot tolerate CSM. Psyllium - A fibre that binds to bile and the toxins contained within. Chitosan - Similar action to that of CSM, Welchol and Psyllium, in that it binds to bile, pulling toxins from the liver. It is made from prawn shells. Chitosan and Psyllium are less effective than the prescriptions. Modified Citrus Pectin - A likely very well tolerated binder made from pectin. Binds to heavy metals without interfering with nutrients. Silicone binders - I tried this silicone-based binder which was very tolerable but it is expensive. Coffee enemas - Detox by producing more bile and stimulating glutathione. More info here. Infrared Sauna - Toxins are released through the sweat. If you can handle heat, this is a low-cost, high returns option. New units need to offgas. Exercise - Detox through sweating and stimulating the lymph system. Micro-Minerals - Having adequate minerals will prevent toxic metals from binding. I'm currently using this kit to balance minerals. It was accurate if I compared that to my hair sample. Molybdenum - A mineral extremely important for detoxification. Calcium-d-glucarate - Helps more toxins to be excreted through bile. Noted to be helpful for trichothecene. Inositol - According to Jarrow this "is essential to liver detoxification"
Ionizing Foot Baths - Many mould avoiders do well on them. I know someone who recovered from fibro because of this therapy alone. So I tried the Ionize Me (buy the basic package for $270 and buy your own inexpensive tub and you will save almost $100). This is the brand used by mould avoiders. I would not venture to pay $1000 for some of the more expensive ones as do not see what the difference is. If you are handy you can also make one of these for yourself, according to techies. The idea here might be alkalizing or for ions. Is seems to help some a lot and other can have no reaction or a bad reaction. The producer of Immunothrive claims that it helped her reduce her mould sensitivities. A herbalist well known for his treatment of Lyme disease provides this formula for bringing down mould sensitivities. 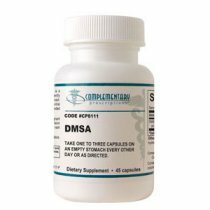 DMSA and EDTA can both be taken by suppository. DMPS and DMSA can be used with the frequent, low dose, oral chelation protocol by Dr. Cutler. Here is the protocol. ALA is also a used in this protocol. DMSA can be bought without a prescription. OSR is no longer sold for medical use but it is something people use to bring down mercury. Methylation is used for many functions in the body, including removing heavy metals, improving energy, and increasing glutathione. It is a protocol that should help the body rebuild its detox systems. The Yasko protocol is the most well known, and she offers her book for free online. There is also a forum that is very helpful, though this protocol is best done with a doctor because of its complexity. There is also a simplified methylation protocol. I'm seeing a lot of people make huge improvements with brain retraining. It seems that once one is in a non-toxic environment, and detox has been added, the brain can still overreact to very small amounts of toxins. This program seems to be helping to re-train the brain to respond in healthier ways. The Gupta programme is one of these programs that I have seen people do really well with. It has been a really good tool for me to have. Disclosure: This post contains affiliate links. As an Amazon Associate, I earn from qualifying purchases through the Amazon links. Thank you for this list. :) I am already doing a lot of the things you mentioned here, but it is good to see it, not only as confirmation, but to see the why's as well. I am living in my tiny toxic free homemade camper trailer, though I started in my car a couple years ago. It is by far the best move I made to help me regain my health. I am still on my journey towards health, but I am so much better than I was two years ago. I have been seeing Dr Michael Gray, who has me on many of the protocols that you have listed. I am quite certain that he saved my life. that's great. good to hear it is working for you too. I did many of the above things. Nothing worked completely until I did calcium gluconate. It got my liver working again and I am no longer sensitive to traces of anything, but only prolonged and heavy exposures. Awesome, that's great to hear. Detox helped me with that too. Thank you for your information. Much appreciated. When you say CSM was intense, what do you mean exactly? You have to be carful with that one it's really powerful and I had to carefully up the dose I never made it to the full dose in one day.